With the GST 10 Water Speed and Temperature Analog Adapter aboard your vessel, you can give new life to your old gauges by making the transition from analog to digital. This simple-to-install adapter takes the data generated by traditional analog gauges and converts the data into a NMEA 2000® (5 Hz) signal so you can create or expand your network without replacing all of the equipment on your boat. With the Garmin GST 10 adapter, you can convert analog information provided via the compatible water-speed sensor, water-temperature sensor, or combined water-speed and water-temperature sensor (not included) on your boat to your NMEA 2000 network. 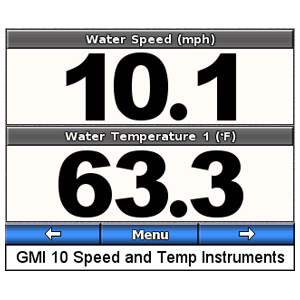 The GST 10 allows you to observe water-speed and water-temperature information on compatible Garmin display devices connected to your NMEA 2000 network. 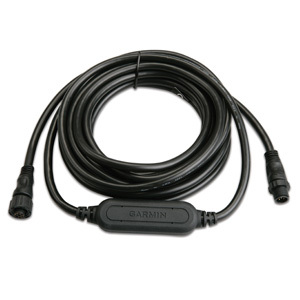 The NMEA 2000 analog adapters from Garmin are easy to add to any existing marine network. Once installed, the data from the adapters can be viewed via the GMI™ 20 Marine Instrument Display and other compatible Garmin devices. This easy-to-use set-up will help you bring your older dashboard into the digital age.